Being based in Silicon Valley – which has continued to burnish its reputation as a hotbed of US entrepreneurial growth and excitement – I frequently get asked how one builds a successful start-up. This question is even more urgent on a macroeconomic level as the US struggles to re-energize its job creating capacity, which has all but sputtered out in the past year. The importance of start-ups to our country’s (and the world’s) job creation is a well-established fact. According to the US Small Business Administration, small firms represent 99.7 percent of all employer companies and employ half of all private-sector employees. These small companies generated 65 percent of the net-new jobs over the past 17 years. The US economy overall is still suffering from weak consumer demand that stubbornly persists following the Great Recession. Without demand, companies don’t expand and hire, ensuring that unemployment remains high (currently at 9.1 percent nationwide). That is the depressingly negative news. The good news is that entrepreneurs across the country, from San Jose, CA to Austin, TX, and Bethesda, MD to NYC, are still following their dreams to start new companies. The passion and commitment of American entrepreneurs, and the investors who risk their capital to stake them, really are the cornerstones of our business landscape and the entire capitalist system. Those entrepreneurs are building the companies that will continue to be the engines of job growth that I believe will eventually pull our economy out of the ditch. 1. Aim High and Think Big – Don’t limit your horizons as you envision your start up dreams. Why not set a goal of truly changing the world with your ideas and business ventures? Even if it’s just your small corner of it. One of the greatest start-up success stories of all time is FedEx. When Fred Smith launched the then Federal Express, he was not limiting himself to just creating a new package delivery company. He thought big from the very beginning, building a corporation that literally would transform the global supply chain. FedEx’s enormous success became the self-fulfilling prophecy of Fred Smith setting out from the start to do very big things. 3. Use Thought Leadership as Your Business Launchpad – When we launched Marketo back in January of 2007, we did not yet have a product to sell. But, we started immediately to educate prospects and build our thought leadership around what we eventually would call Revenue Performance Management. Through search optimization and creating and distributing high value content, my co-founder Jon Miller created sufficient interest and demand that by the time we had our beta product ready to sell by the end of ’07, we already had 15 customers ready to buy it. As you build your product and company, don’t wait to start sharing your thought leadership ideas and expertise. 4. Drink Your Own Champagne – Again, looking back to the early days of Marketo, we “drank our own Champagne” by becoming the key beta user for the product we were building. By using our own marketing automation platform and employing the most up-to-date content marketing and social-driven marketing strategies, we successfully accomplished for our fledgling company what Marketo would eventually do for its customers. 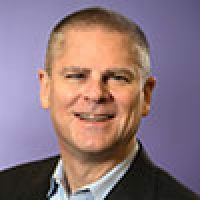 One of our most successful marketing strategies to this day is when Jon Miller presents Marketo’s “Secret Sauce.” It really is how we use “Marketo for Marketo.” As you build your product and company, make sure you gain first-hand knowledge in validating your product’s essential value and benefits. It is amazing how powerful that personal user experience will be in attracting customers. 5. Drive Your Business With Velocity – I was asked recently if I advised emerging SaaS companies to focus on getting a larger number of smaller-sized deals, or a fewer number of larger customers. I firmly believe a larger number of small-sized deals is the optimal approach for most start-ups. The minute you launch your product, you want to have as many prospects as you can who are ready to buy it, or at least test it out. Each month, it’s critically important to increase your number of leads and keep the deal flow high and constantly growing. Building a successful company today is an entirely different ballgame than it was just a few years ago. To compete and win in the current turbo-charged business environment, you need to use velocity in everything you do – from product development and human capital development, to sales and marketing. There is no silver bullet to being a successful entrepreneur. More than anything, it takes creative thinking, a passionate belief in yourself and your ideas, and the dogged persistence and courage to hang in there even when things get tough, as they invariably will. But, if you follow the above outlined suggestions, I promise that you will be much better positioned to survive and thrive in the always exciting start-up game. Here’s wishing all of you huge success in advancing your big ideas and growing your new companies, whether you decide to do so by utilizing strategies like marketing automation or just growing your ideas in general. Your willingness to put it all on the line to pursue your entrepreneurial dreams is the greatest hope for our country getting its job-creating mojo back again!